School is about to start! Some of you are jumping for joy, and others are trying to figure out how to delay that inevitable day a little longer. As the year starts, I hope that you are able to find a sense of why school is worth your time and effort. Don’t worry, I remember not wanting to go back too. Since then, I have learned a lot about the importance of prioritizing learning and have even begun the habit of reading multiple books at the same time. (Currently: The 17 Indisputable Laws of Teamwork by John Maxwell, The Tech-Wise Family by Andy Crouch, Horten’s Miraculous Mechanisms by Lissa Evans and The Hiding Place by Corrie Ten Boom). For years I didn’t read anything because I felt I didn’t have time. Thankfully I began listening to things that helped me realize I didn’t have time NOT to read. The necessity of learning by reading and listening to podcasts and audiobooks has been made clear, and it has led me to one question that stands out in any situation I am faced with. This can be personal, business, relational or anything. If you embrace this one question and release the desire for control of the situation, the payoff is worth every ounce of effort you put into this change in perspective. Here is the question: “What can I learn?” This applies to a positive situation, a negative situation, or a neutral situation. You can ask this anytime, anywhere, about anything. So how do we narrow the focus and apply this as the school year starts to get the most out of this year? First of all, I assume that this blog is mostly read by adults, not teenagers. So if you are a teen, be sure to read below understanding that it is intended for someone helping you understand the concept. This may mean some things feel they don’t apply. I would ask that you talk with an adult about the information. Not because you can’t understand it, but because their life experience may help them read this differently than you. In the end, hopefully you will both be better off from simply having a conversation about it. Use these steps as a guide to get the most out of this school year. The problem here is that there may be a significant lesson to be learned. That may be patience or some self awareness or something new about that person that gives us insight we didn’t have before. If the immediate reaction is to remove the tension, we miss this opportunity. If we instead ask, “What can I learn?”, there is the distinct possibility we will get something signifiant from the interaction. It may be that we do not want to engage that person again. But we don’t really know that if we are retreating. We can know that if our brain is working to understand what we can get out of the situation. You won’t waste a class ever again. Since becoming a more active learner, one of the things that stands out when listening to others is the comment that something is a waste of time. This is a very empty comment. Most often what they are meaning is that they would rather be doing something else. Not necessarily something more worth while, just something else. The truth is whether something is a waste of time is up to each of us. If we give that power to the person teaching the class, giving the lecture, or coaching us on fundamentals, we have willingly relinquished our ability to gain anything and better ourselves. The idea that you can learn in any situation reclaims that power and brings ownership back to me as the person choosing to spend my time a certain way. You may try to argue that someone else set your schedule, you had to take that class, or the company paid for conference you didn’t want to go to. Think about it, that is really beside the point. In any of those situations, you are still looking for reason not to engage and to blame someone else for why you are getting nothing out of the experience. Instead, look at it as a chance to either decide to seek out more learning from that person, or organization, or to eliminate them from your resources. You can’t know this though until you try to learn something from them first. Have a plan to share something after a learning experience. The idea that you are always learning can be overwhelming. It can seem like you will never be able to recall what you need to know, and therefore, what’s the point. Truth be told, this is what kept me from reading much for about 10 years. I am a bit of a slow reader and thought if I can’t remember what I read, it’s pointless. What I have since realized is that the act of reading is part of the exercise. It helps keep my brain working and growing. I have also realized that sharing something I have learned helps me hold onto the most important parts. The Principles. After listenting and reading long enough, I now understand that there are some basic principles that drive most of what we do. In order for those principles to be reinforced though, we need to hear them often and in many different ways so that we can execute them in our particular situation so the people we are helping with our work can benefit. So how do you take this and begin helping your teenagers (elementary kids in my instance) have an attitude of learning? Where their default is not that things are boring, and they wish they were somewhere else, but that they are always looking to learn something no mattter how small? The sooner this can begin, the more they will learn, and the better off they will be. Try this first: simply ask them daily “What did you learn today?” Then sit back and be okay with the answer. If they say, “Nothing,” keep asking until they get to the point that they realize the possibility to learn something from any situation they find themselves in. This foundational lesson will be invaluable and lead to a lot less wasted time (because they won’t see it that way). Don’t do what I did and miss out on a decade of potential learning simply because of a choice. Instead choose now to learn something from everything. 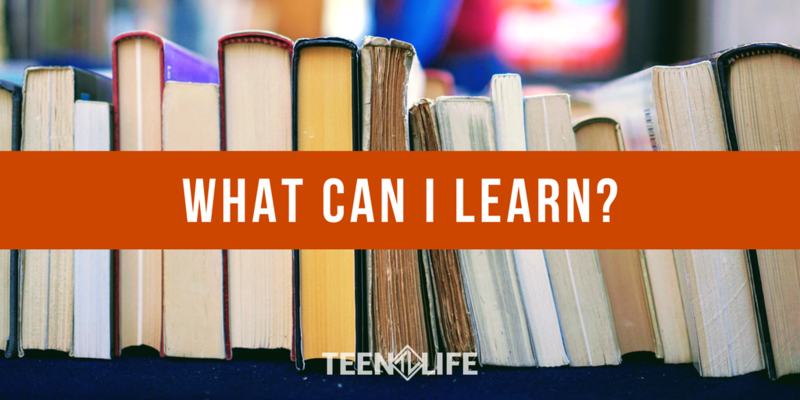 “What can you learn today?” Share with us what you learned just from this post. We love hearing from you.